The IWWF has been signed up to the World Anti-Doping Code for many years and is committed to drug free sport in all forms of waterskiing and wakeboarding. This page can assist athletes, coaches, parents and Federations in finding all the necessary information they may need to avoid using any banned substances. Athletes are urged to follow links to the World Anti-Doping Agency (WADA) where a huge amount of information can be found on this subject. Every athlete has the right to clean sport. Any athlete may be tested in or out of competition, anytime and anywhere and with no advance notice. applying to the IWWF (or national anti-doping organization if the athlete is a national level athlete) if no alternative permitted treatment is possible and a Therapeutic Use Exemption (TUE) is required. refraining from possessing a prohibited substance (or a prohibited method)*, administering any such substance or method to an athlete, trafficking, covering up an anti-doping rule violation (ADRV) or other forms of complicity and associating with a person convicted of doping (prohibited association). These are ADRVs applicable to Athlete Support Personnel under Article 2 of the World Anti-Doping Code and Article 2 of the IWWF’s Anti-Doping Rules. WHAT IS THE ROLE OF THE INTERNATIONAL FEDERATION (IWWF)? Anti-doping activities required of IFs by the World Anti-Doping Code include conducting in- competition and out-of-competition testing, providing education programs and sanctioning those who commit anti-doping rule violations. If you have any anti-doping queries, please contact the IWWF Anti-Doping Manager. The IWWF Anti-Doping Rules are based on the World Anti-Doping Code and have been adapted to all IWWF Sports Divisions. The World Anti-Doping Code is the core document that provides the framework for harmonized anti-doping policies, rules and regulations within sport organizations and among public authorities. It works in conjunction with 5 International Standards aimed at bringing harmonization among anti-doping organizations in various areas: Testing & Investigations (ISTI), Laboratories (ISL), Therapeutic Use Exemptions (ISTUE), Protection of Privacy and Personal Information (ISPPPI), and the List of Prohibited Substances and Methods (see IWWF’s Prohibited List section). Any athlete under the testing jurisdiction of the IWWF may be tested at any time, with no advance notice, in- or out-of-competition, and be required to provide a urine or blood sample. No-advance notice out-of-competition testing is one of the most powerful means of deterrence and detection of doping. To support this type of testing, the IWWF has created testing pools as part of its testing program. Certain athletes in the IWWF testing pools, such as those in the International Registered Testing Pool (IRTP) are required to provide information on their whereabouts in ADAMS, WADA’s online anti-doping administration and management system. Equally some National Federations have their own National Testing Pools. The IWWF updates the composition of the testing pool (IRTP) regularly/at least yearly. Athletes in the IRTP are chosen based on set criteria. The establishment of the IRTP shall be done at the end of each competition season when all World Championships are concluded. This will be usually mid-November. The IRTP pool of athletes will be determined by random draw from the top ranked 5 male and female athletes in each of the Medium Risk & Cable Wakeboard discipline / events. Top ranked will mean from the World Rankings List in those disciplines which have Rankings Lists. For the other division – Racing – the top 5 will be determined from the results of the latest World Championships. Athletes who need to provide whereabouts in ADAMS for the IWWF are notified by the IWWF of their inclusion in the IWWF’s testing pool as well as what information exactly is required of them, how to use ADAMS, deadlines to submit this information and any consequences if the information required is not submitted. All IWWF-licensed athletes (via their National Federation) who decide to retire from competition must inform the IWWF. For IRTP athletes, as soon as the retirement is officially confirmed to the IWWF, the athlete will be withdrawn from the IWWF’s RTP with immediate effect. If an athlete wishes to resume competing, they will not be able to do so until they have given the IWWF written notice of their intent to resume competing and made themselves available for testing for a period of six months. Please consult Article 5.7 of the IWWF Anti-Doping Rules. IWWF has produced Procedures for collection, processing, assessment and usage of information (intelligence) for anti-doping purposes. This document can be viewed at this link. All intelligence received will be handled securely and confidentially (stored in a password protected file), so that sources of intelligence are protected, and the risk of leaks or inadvertent disclosure is properly addressed. The IWWF will only allow an athlete to use a prohibited substance for medical reasons if the athlete has a valid Therapeutic Use Exemption (TUE) for the substance that the IWWF has granted or recognized. See the TUE process below. If you have any doubt, contact the IWWF (or your NADO if you are a national- level athlete). * Important note: the IWWF and WADA do not take responsibility for the information provided on these websites. A TUE is a certificate granted by an anti-doping organization (IF for international-level athletes, NADO for national-level athletes and MEO (Major Event Organizers) for athletes participating in an MEO event such as the PanAm, Asian, Mediterranean Games]). The certificate is for a set prohibited substance, in certain dosages, with a limited period of validity. An application for a TUE must be based on a documented medical condition and diagnosis and the TUE will only be granted under strict criteria laid out in the International Standard of TUEs.
An International-Level Athlete whose illness or condition requires treatment with a prohibited substance or method must apply to the IWWF for a TUE following the IWWF’s strict TUE application process. Athletes who are part of the IWWF Registered Testing Pool. National Level Athletes are defined as those who do not meet the above criteria. The TUE request forms must be completed electronically if possible, or in BLOCK CAPITALS. The TUE must be completed in English. If the medical information attached is in another language, please enclose translation in English. Any TUE request that is incomplete or illegible will not be dealt with and will be returned to the athlete, who will need to submit it again. This will, of course, delay the granting of the TUE and, therefore, the start of treatment. In accordance with the WADA International Standard for TUEs, the IWWF TUE Committee’s decision will be completed within 30 days of receipt of all relevant documentation. The athlete can only submit one TUE request to one authorizing body at a time. He/she is not allowed to submit the same TUE request to several authorizing bodies. If the national anti-doping organization has already granted the athlete a TUE, he/she must send IWWF the certificate, a copy of the original application form and the complete medical file in order for the IWWF TUE Committee to check that it fulfils the IWWF requirements. If this is the case, IWWF will recognize the TUE. IWWF may ask for further documentation. This procedure should not in any case hinder or delay implementation of necessary or urgent medical treatment. To be best informed about what TUE’s may cover the Athlete and/or their Physician are directed to the full WADA resource /question and answer pages on TUE’s. Each TUE application will be carefully evaluated by the IWWF’s Therapeutic Use Exemption Committee and will only be granted in accordance with the International Standard for TUEs and the criteria laid out in article 4 of this standard. If the TUE is granted, the athlete will then be permitted to use the medication during the period of validity of the TUE without committing an Anti-Doping Rules Violation (ADRV). IWWF will automatically recognize TUE decisions made by National Anti-Doping Organizations. If an Athlete’s TUE falls into a category of automatically recognized TUEs, then he/she does not need to apply to IWWF for recognition of that TUE, provided that such TUE is reported in ADAMS. Neither WADA nor the IWWF is involved in any supplement certification process and therefore do not certify or endorse manufacturers or their products. WADA and the IWWF do not control the quality or the claims of the supplements industry. Note: if the athlete or other person is a minor, no publication is required. To view the current list of sanctioned Athletes and Athlete Support Personnel click on the link below. IWWF is required to publish at least annually, a general statistical report of their Doping Control activities with a copy provided to WADA. Effective prevention and clean sport values-based education programs are important to create a strong doping-free culture. WADA has developed resources for athletes, coaches, doctors and any other person who wishes to know more about anti-doping. 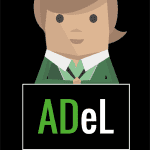 The anti-doping e-learning platform (ADeL) offers access to all topics related to clean sport and anti-doping. It offers courses for athletes, coaches, doctors, administrators and anyone interested in learning more about anti-doping and protecting the values of clean sport. Sport Physician’s Tool Kit (online) is a streamlined version of the paper based tool kit that allows physicians and other medical personnel to take the course electronically. In addition to covering anti-doping modules specific to sports physicians, there are also three modules covering major games topics, done in collaboration with the IOC. The material contained in the Sport Physician’s Tool Kit (SPTK) is intended to help sport physicians develop anti-doping education programs that can be adapted and customized to suit local cultures, conditions and resources. IWWF will shortly be rolling ADEl out to all National Federations for them to use in their Anti-Doping Educational programmes. Chair Dr. Nenad Dikic, Members – Dr. Lorenzo Benassa, Dr. Ronald Moore.